The independent Bankrobber Gallery in Notting Hill turns the tables by bringing street art inside. Exhibiting works by the elusive graffiti artist Banksy, the gallery has made a name for itself as a cutting edge if cosy space. For someone who has always shunned the spotlight Banksy has become incredibly well known, his shy nature only adding to the mystique that perpetuates his popularity. Tales of Banksy's popping up all around the city, worth hundreds of thousands, keep Londoners wishing that he'd do a doodle on their walls. 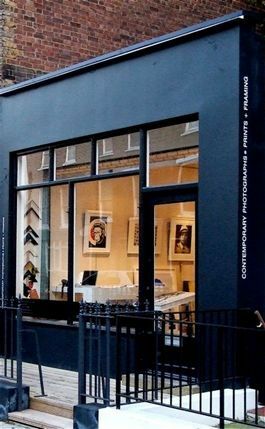 Gallery co-owners Robin Barton and Michael Woodhead cemented their reputation for showing edgy and contemporary artists when they exhibited Pete Doherty's blood paintings in June 2007. But the main business of the gallery is selling and showing works by established and emerging contemporary artists including Russell Young, Mick Rock and Ben Watts. There are three or four main shows a year while the remainder of the time is dedicated to a mix of featured artists and new acquisitions. What are the best dining options near Bankrobber Gallery London? Bankrobber Gallery gyms, sporting activities, health & beauty and fitness. The best pubs near London Bankrobber Gallery. Bankrobber Gallery clubs, bars, cabaret nights, casinos and interesting nightlife. Where to have your meeting, conference, exhibition, private dining or training course near Bankrobber Gallery. From cheap budget hotels to luxury 5 star suites see our deals for Bankrobber Gallery hotels, including DoubleTree by Hilton London Hyde Park from 83% off.